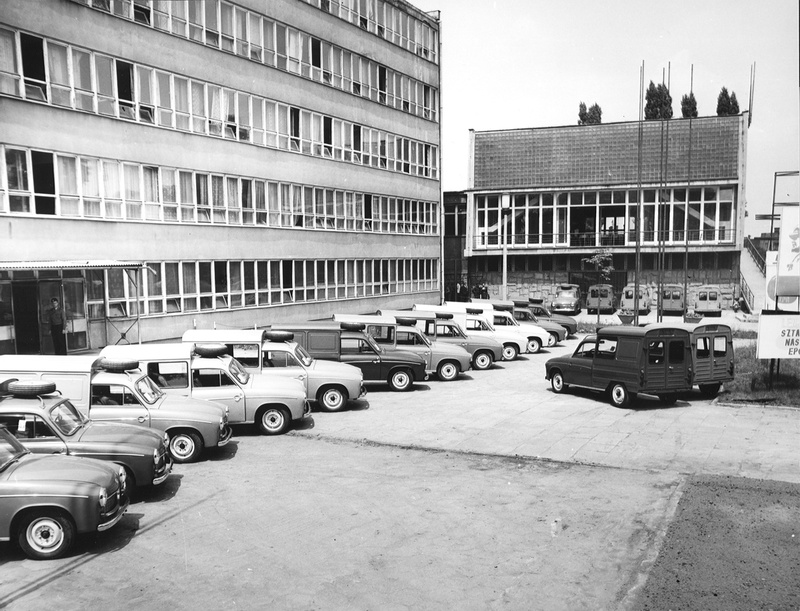 As the Research and Development Centre for Compact Vehicles (OBR), we actively appeared on the Polish automotive market in 1972, starting our activity as a design and R&D base for FSM (Small Car Factory) in Bielsko-Biała. However, our history began a year earlier. The turning point was the decision to transfer the manufacture of the Syrena from FSO in Warsaw to the Mechanical Equipment Factory in Bielsko-Biała, therefore there was a need to organise on-site design and research facilities. On the basis of the decision of the Minister of Machine Industry of February 27, 1971, a Branch Office of the Central Construction and Research Centre of the Automotive Industry in Warsaw was established in Bielsko-Biała, which began operating on April 1 of the same year. Several rooms at the Mechanical Equipment Factory at 44 Partyzantów Street became the place of work of a small crew of less than thirty people at that time. BOSMAL was created as a result of the merger of the branch of the Central Construction and Research Centre of the Automotive Industry and the prototype and research department separated from the Mechanical Equipment Factory. The Centre, although formally registered separately, was an addition to the organisational structure established in January 1972 of the Compact Car Factory (FSM). The main tasks of the Centre included development works, ongoing design support for the manufacturing operations as well as all research related to materials, parts and assemblies as well as complete cars. In the initial period, the Centre's tasks concerned mainly the launch of the transferred manufactre of Syrena (especially the 105 L and BOSTO models), and later the implementation of a Polish FIAT 126p license car. In 1973 the construction of the buildings and halls dedicated to the future headquarters of the Centre started. Two years later the hall was finished, first the modern stands for engine testing were installed. Individual laboratories and cells of the Centre, distributed up to then over five different points in Bielsko-Biała were gradually transferred to the new headquarters, where appropriate working conditions were created. The complex with a total area of over 23 thousand m2 was built in an area of over 8 ha in the northern part of the city. Construction was completed in 1978. In the next period the centre’s facilities were systematically enriched with apparatus and research equipment. In October of 1974 the director of the Centre was Ryszard Iskra, MEng. At that time, it employed the most people in BOSMAL’s history - 716, of which 270 had higher education. In 1975, the Sport Automobile Workshop was established in BOSMAL, which had prepared FSM production cars for rally and race events in Poland and abroad. At that time, computerisation of engineering works was gradually introduced. 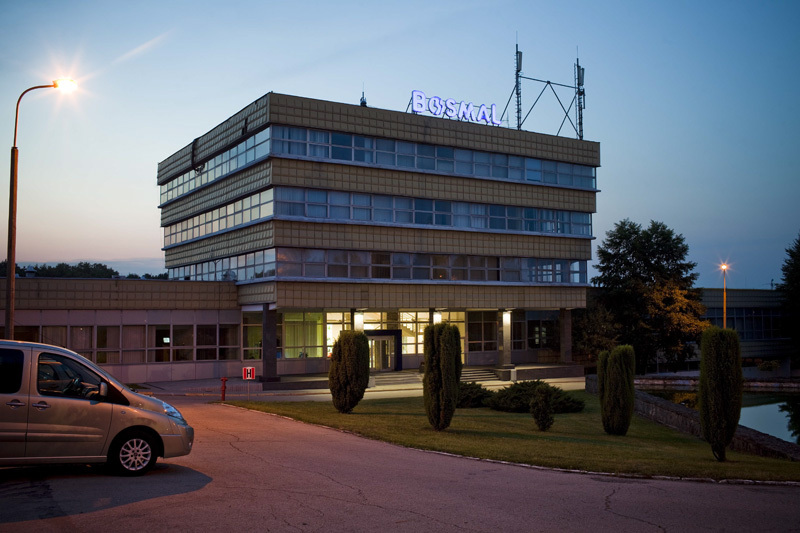 At the turn of the 70s and 80s centre was the most modern research and development facility in the automotive field in Central and Eastern Europe. 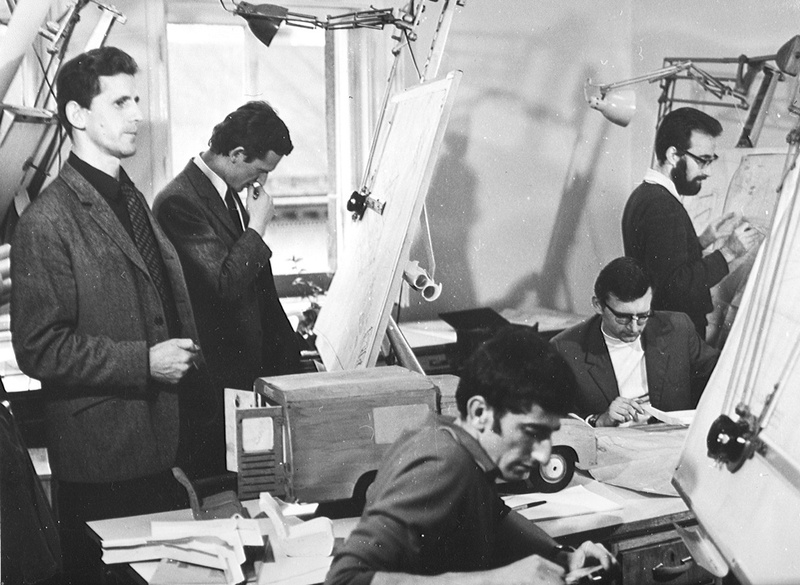 Its measuring and testing laboratories were equipped with more than 500 devices mainly by world - renowned companies as Kistler, MTS and Schenck. Specialized staff and equipment modern for that time enabled development work in the full cycle from the concept stage to fully functional and testable prototypes. The beginning of the eighties was, however, a difficult period for the Polish economy, which also influenced the condition of the Centre. Despite developing a comprehensive design of a completely new compact car called Beskid, which could replace The Polish Fiat 126p in the future, employment dropped to 550 people. 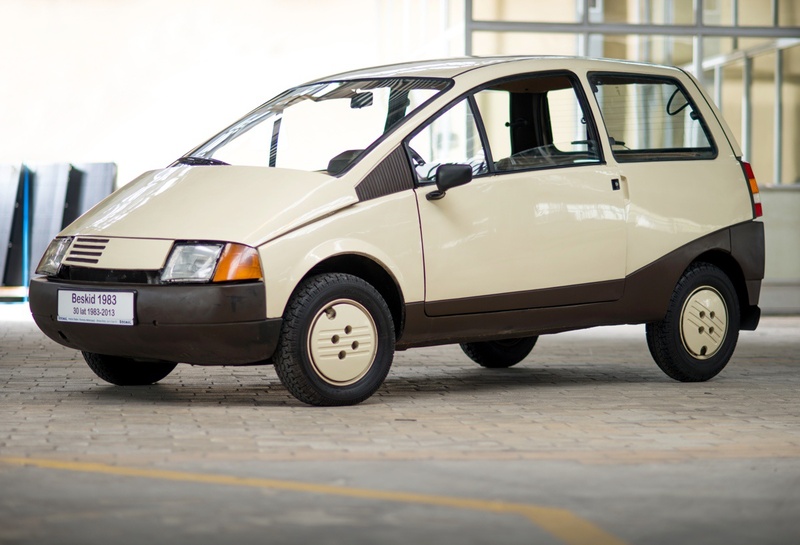 The hard economic situation of the country and FSM meant that the Beskid project was shut down at the prototype series stage, and FSM in September 1987 signed a license agreement with FIAT for the manufacture of a new compact car - Cinquecento. OBR joined the course of intense work related to launching its manufacture, using the experience from the Beskid project. A concept for the entire family of modified vehicles was developed along with utility versions. The Centre's equipment was being systematically supplemented, among others, a computer-aided design system was implemented. In May 1990, the competition for the position of the CEO of OBR SM was announced for the first time. There were 8 candidates and the winner was Kazimierz Romaniszyn, who took over the function in August of that year. In November 1990, FSM was transformed into a state-owned company, however, this did not include the Centre, which formally was outside FSM's structures and in this way actually became an independent unit. Despite this change, most of the work carried out at the Centre was still performed for FSM, however, the decline in the manufacture and financial problems of FSM have seriously limited the scope of this cooperation. 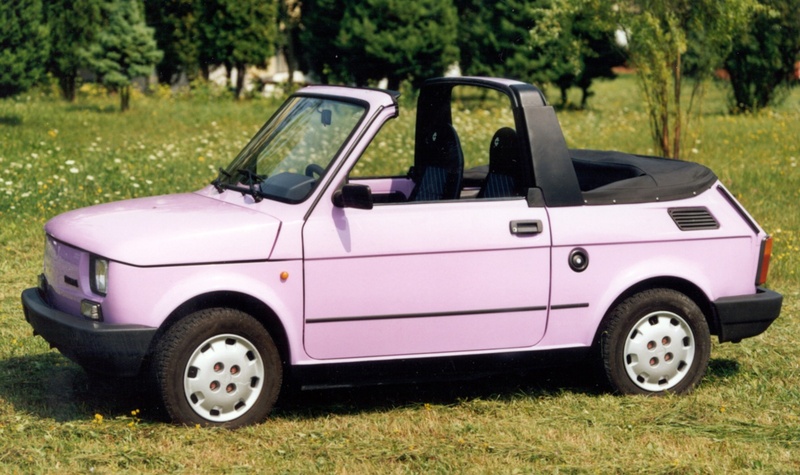 In 1991, OBM launched a small lot production of BOSMAL Cabrio, on the basis of Polish Fiat 126p, whose design was developed, tested and approved as own work. Nearly 500 unit of this car were manufactured and sold. However, the limitation of the scope of other works led to a reduction in employment to less than 400 people at the end of 1992. A number of organisational changes took place and work begun on the accreditation of research laboratories. The publication of Scientific and Technical Papers began, in which the Centre's achievements and more interesting work carried out by employees have been published. In a sense, the breakthrough year was 1993, when after the next stage of ownership transformations, the most important production plants of FSM SA were taken over by FIAT, who in October created a company called FIAT Auto Poland. The company, appreciating the need to cooperate with the Centre, settled FSM's payment arrears and in December 1993 concluded a general agreement with the Centre, the scope of which covered a large part of OBR's capabilities. We had to look for other work on the market, which led to a significant change in the profile of work and the gradual acquisition of research contracts from many suppliers as well as from FIAT Auto from Turin. Further own work was also undertaken and OBR's actual independence has began. In 2000, Antoni Świątek became the CEO of BOSMAL, and at the turn of the 20th and 21st centuries was marked by the systematic expansion of our offer and establishing cooperation with new clients, practically from every part of the world. Also, activities related to ownership transformations of the Centre were started, the important stage of which was the creation in 2004 of an employee-owned company - Instytut Badań i Rozwoju Motoryzacji Sp. z o.o. The last important event in the Centre's history was the signing of the direct privatisation agreement on May 1, 2010. „Ośrodek Badawczo-Rozwojowy Samochodów Małolitrażowych BOSMAL” was leased to the employee-owned company, taking the name: "Instytut Badań i Rozwoju Motoryzacji BOSMAL Sp. z o.o. ", who took over all the rights and obligations of the Centre. Antoni Świątek remained the President of the Board and the CEO. BOSMAL's development policy is also being continued, including maintaining and periodically evaluating its own scientific activities, applying principles used in state-owned research institutes. Since 2010, the scientific activity of BOSMAL employees has been systematically increasing. From year to year there are more publications in scientific journals and a larger number of employees participate in scientific conferences. During that time, four employees of the Institute obtained doctorate degrees in technical sciences. Grants were obtained, for example regarding the system of assessment and improvement of air quality in passenger cars, analysis of the possibilities of burning gasoline-alcohol mixtures with increased ethanol content in automotive petrol engines (and the impact of these fuels on the durability, reliability and ecological properties of the engine). The implemented scientific projects bring tangible results in the form of introducing new services and extending BOSMAL's offer as well as cooperation with universities, scientific institutions and companies from Poland and abroad. The Institute also organises international technical seminars, workshops and the prestigious conference "International Exhaust Emissions Symposium", which has already seen five editions. The last one was attended by 140 specialists, and the share of authors' papers from foreign centres amounted to as much as 92%. BOSMAL's high position among R&D units in Poland and Europe is proven, among other things, by its participation in national and international bodies, such as: POLLAB Polish Research Laboratories Club, Polish ISO 9000 Forum Club, Polish Scientific Association of Diesel Engines, Polish Committee for Standardisation, World Forum for Harmonisation of Vehicles Regulations (WP 29), Working Group on Pollution and Energy (WLTP subgroup - on the world harmonised light vehicle testing procedures, PMP Subgroup - on the particulate measurement programme) and the European Commission RDE - LDV working group (on the pollutant emissions from light commercial vehicles or passenger cars under real driving conditions). Together with the Institute of Occupational Medicine in Sosnowiec, the University of Silesia in Katowice, the Institute of Rural Medicine in Lublin and the Centre of Oncology in Gliwice, BOSMAL co-creates the Scientific Network "Environmental Hygiene and Health". 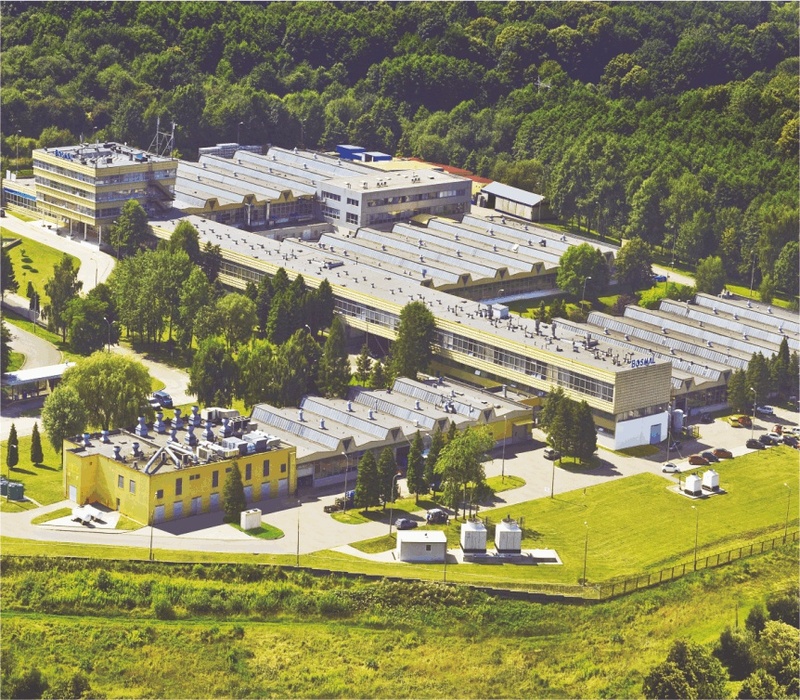 In addition, BOSMAL has scientific cooperation agreements with the Poznań University of Technology, the wTadeusz Kościuszko University of Technology, the Bielsko-Biała University, the University of Leeds, the University of Birmingham and the Polish Academy of Sciences - Institute of Environmental Engineering. For many years, the Institute has been actively involved in educating future engineers. For us, the recruitment of new staff starts at universities. In the last three years, we have accepted 80 students from Polish and foreign universities for apprenticeships. We work with the Silesian University of Technology in the Vocational Studies project. The programme combines theory with practical vocational training - 6 months of study, 6 months of practical classes at BOSMAL. A project of similar nature is also being prepared with the Bielsko-Biała University. It is worth noting that apprentices or trainees who show commitment and knowledge continue cooperation with us, often finding permanent employment. And working at BOSMAL enables professional development, acquiring specialised competences and new experiences in the field of R&D. We are continuously working on innovative projects that have an impact on the development of the automotive industry. Employment is also systematically growing, and currently is at 380 people (including over 270 with college degrees), but only a few of these employees remember the very beginnings of OBR. In 2015, with no changes in the composition of the Management Board, Arkadiusz Stojecki was appointed as CEO, and so the Management Board's policy is being continued. BOSMAL is still undergoing modernisations, and a stable revenue enables the implementation of significant investments in infrastructure and key areas.